while I gulp coffee and serious list-make. dots that show how my day clips along. you must sing right now – something could go wrong. minute second chances sprung forward headlong. This entry was posted in Poetry and tagged Chickadee, poetic form, Poetry, spring forward, time, villanelle. Bookmark the permalink. Wow, this poem has a great rhythm to it. Thanks for sharing! Hey Susanne, I really love this! Fellow bird lover, of course! I wish I had taken courses in poetry when in college–I know so little and, so, have so much trouble with real appreciation. I’m glad it came out, in the comments, that this was a villanelle, so I could look that up and then go back and re-read with the info in mind–it changed so much about the way I read and understood. Great work! I really and truly try hard not to write poetry that is impenetrable. I hoped the rhyme would at least make it bouncy and fun to read. I don’t think people should need a special degree to read and enjoy poetry! I thank you so much for taking the time and making the effort. That’s fabulous! I want to assure you it wasn’t impenetrable at all! And the structure and rhyme made me think of the chickadee’s call–it really worked! I just think more training would allow me to get even more from your hard work! Inspired by reality. Up early yesterday, dawn hardly visible but that chickadee had a lot to say about getting started, getting going and going and going! Are there chickadees in the UK? They make a lovely, repetitive call that mimics their name. What an excellent thing to read first thing when even the birds are still asleep. What’s the first bird call you hear in the morning? Where we live in Sydney, we are very lucky to hear all the natives. The laughing Kookaburra, the sulphur crested cockatoo, the Rainbow Lorikeet, the Magpie. the Raven, the Koel, and sometimes the Owl. And in a little reserve not far from the house, there are birds and calls that I can’t identify! I want to come to Australia and hear and see those birds! Lucky, lucky you! 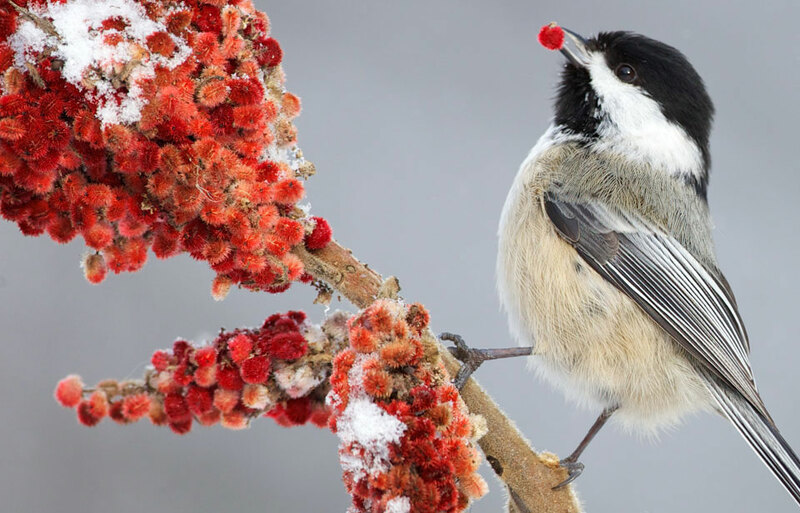 Well done – love the use of repetition, the chickadee and the serious list making. Thank you, my poetic friend! You are very welcome. You inspire me to do better. Awww. That’s so nice to hear. Thank you for that. The others in my writing group will be so impressed when I casually mention something about a villanelle. But what can you expect from a prose writer? Glad to supply gloating glory! I thought of Cynthia as I wrote, trying to squeeze what I wanted to say into a villanelle. Of course the quality is nothing like her work but I now appreciate the challenge of bending an idea into a tight form. Well, there we go! Because I too thought of Cynthia and thought that her response would be similar to mine – we often discussed the fact that her priority was the form and mine the words (the form being quite beyond me!) and purity was found when the two met…….. I’m no expert like she was, but I did think she would be pleased by this. This is a poem that will make Cynthia proud. Just wonderful Susanne. Bird and coffee and lists…..yes, we each have our work cut out for us eh! I have read and re read this poem….. I can think of no higher compliment than someone re-reading a poem. My goodness. Thank you, Shubha. Oh I do love this, and especially the photo. Black capped chickadees are my favorite. I of course snagged that picture from the world wide web but one day I’d love to have a camera – and the time – to photograph birds. I love chickadees, too, and round here there are a few hiking trails where, if you bring seed, the little fellas will land on your fingers and feed from your palm. Ahhh-mazing. It took me a few reads before I clued into the unusual style. I love the poem within the poem. Nicely done! The form is called a “villanelle” which I thought kind of suited the repetitious call of the chickadee. You really are an awesome reader to stick with it and read several times! Thanks for that, Joanne. Dylan Thomas’ famous poem “Do not go gentle into that good night” is a villanelle. Of course I had to look it up and read it in its entirety. That’s so cool. I learned something new today – and it’s poetry related! !